Barn door systems for homes are not just a fad. Considering that the average size of American homes is decreasing, their space-saving design is practical and fashionable. They effortlessly slide rather than swing in- or outward, allowing you to maximize every inch of your real estate. These interior units are underrated in terms of strength and durability. Unlike hollow-core doors, they’re the opposite of flimsy. Regardless of their configuration, they make the room they serve impregnable because they’re made from high-quality, solid wood. Sure, they cost slightly more than hollow-core units, but you can’t put a price on security. Like custom design shutters made from basswood or poly, barn door systems insulate extremely well, both thermally and acoustically. Many homeowners focus so much on windows without realizing that their interior doors can allow the heat to escape. Their noise-dampening qualities can help soundproof any room. Wholesale Shutter Company makes it clear that the notion that barn door units always have a rustic vibe is a myth. They naturally have Old World charm, but they also come in industrial and minimalist designs. With numerous hardware choices, it’s very easy to be creative with their appearance. Although their popularity is increasing, they’re still a refreshing sight, making them a head-turning center of attraction. If put a lot of thought into their design, they can mesh with virtually all window covering options. You don’t even need to use them as doors. You can leave them open and let their fascinating details enrich your space. Appreciating barn door systems with this blog doesn’t do them justice. 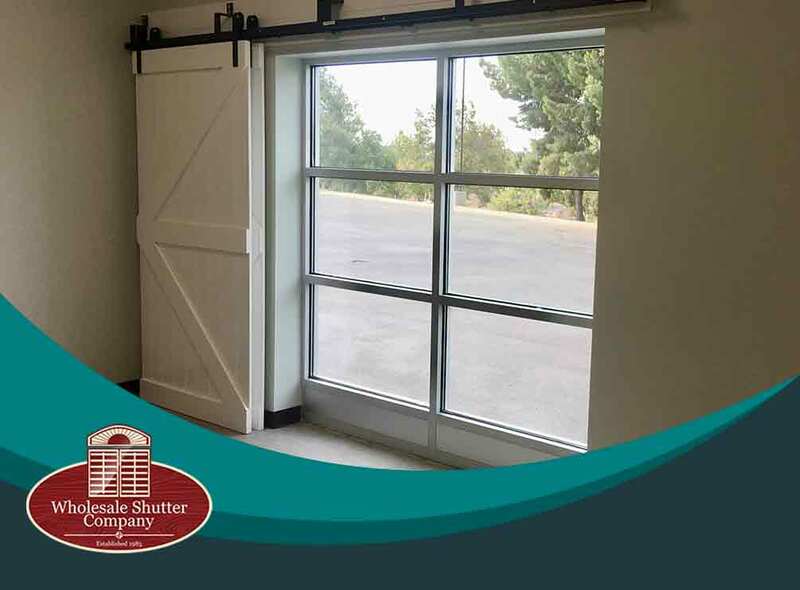 Turn to Wholesale Shutter Company to learn more about them and explore countless design possibilities. Call us at (866) 540-0049 now to talk about your project and get your FREE estimate in Orange County, CA.